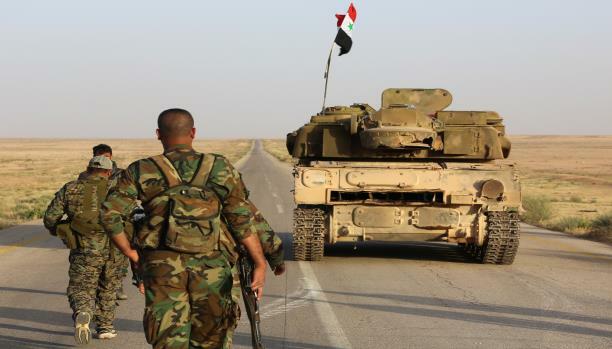 A military source said that the Syrian army units, in cooperation with the allied forces, on Tuesday regained control over al-Quriyeh town on al-Mayadeen-al-Boukamal direction in the southeastern countryside of Deir Ezzor. 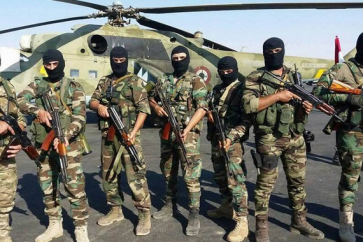 The source added that the army units carried out intensive operation against ISIL terrorists, leaving a number of them dead and destroying their equipment. According to the source, the army units continue chasing the terrorists’ remnants while the engineering units are dismantling the mines and explosives planted by terrorists in the town’s streets and squares. Army and Armed Forces units carried out a military operation against gatherings of al-Nusra Front terrorists in the surroundings of Bardaia strategic hill in the southwestern part of Damascus Countryside. 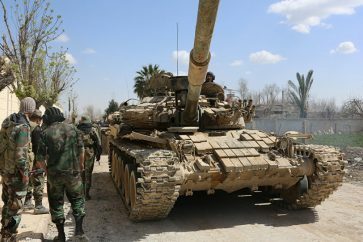 SANA’s reporter in Damascus countryside said that the army units launched the operations in cooperation with the popular defense groups, establishing control over the eastern chain of the strategic hill of Bardaia to the southwest of Kafar Hor village after killing many al-Nusra terrorists and destroying their weapons and ammo. 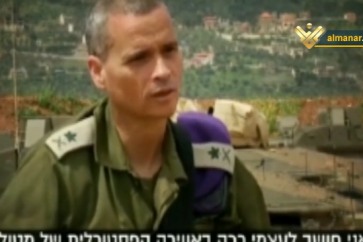 The reporter added that an army unit is continuing special operations against the remaining al-Nusra terrorists to establish full control over Bardaia hill which surrounds Beit Jin farm, the largest gathering for the al-Nusra in the Western Gouta area. The reporter said that al-Nusra terrorists targeted with artillery shells Tel al-Shaar in the eastern countryside of Quneitra in an attempt to reduce the pressure on the terrorists of Beit Jin farm. Syrian Arab Army units on Wednesday targeted terrorist groups in the countryside of Idlib province. 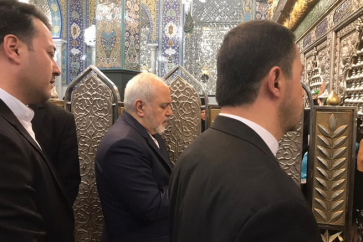 20:22 Hezbollah: Blood of Martyrs Executed by Saudi Regime Will Enlighten Salvation Way of Oppressed People More..
19:17 Lebanon’s Defense Minister: If ‘Israel’ Bombards Our Airport, We Will Bombard Its Airport More..
17:17 President Rouhani : Had It not been for Iran, Existence of Saudi & Emirates during Saddam Era Would Have Been at Stake More..
16:15 Sudanese Judges Say to Join Protests for First Time More..
15:38 Imam Khamenei: Iran to Export Oil at Will More..
15:28 Lebanon’s Berri Confirms Austerity Measures Will Not Affect Low and Middle Income Employees More..
14:51 Saudi Says No Immediate Plan to Boost Oil Output More..
14:19 Iran Blasts Trump’s Administration for Staying Silent about New Saudi Mass Execution More..
12:01 Kim Arrives in Russia for Historic Summit More..
11:42 Imam Khamenei: Iran Can Export as Much Oil as It Needs More..
20:13 US Dream of Bringing Iran’s Oil Exports to Zero Will Never Come True: Minister More..
18:34 Saudi Executes 37 Shiite Muslims, Mostly Social Activists More..
17:57 African Summit Urges Civilian Handover in Sudan within 3 Months: Egypt More..
16:55 Bahrain’s Regime Admits Religious Persecution as Policy: Al-Wefaq More..
15:34 Photos Show Israeli-made Weapons Seized in Syria’s Quneitra More..
15:03 Trump to Make State Visit to UK June 3-5: Palace More..
14:56 Oil Prices Shoot to 2019 Highs on Iran Crackdown More..
14:22 ISIL Terrorist Group Claims Sri Lanka Attacks: Propaganda Arm More..
14:15 Berri Tells UNIFIL Commander “Lebanon Ready for Maritime and Economic Zone Demarcation under UN Supervision More..
13:03 US Sanctions over Iran Oil will ‘Intensify Mideast Turmoil’: China More..
12:56 Damascus Opens Airspace to Qatar Airways More..
11:40 Iran Parliament Designates CENTCOM as Terrorist Group in Response to US Blacklisting of IRGC More..